From 3 to 17 September, the Soil Association is hosting Organic Fortnight, the UK’s biggest celebration of all things organic. This year their focus is on encouraging people to try something organic every day. They have some great ideas on their website for how to do this, including visiting an organic farm, attending the Organic Food Festival in Bristol on 11th and 12th September or even just choosing to buy some organic vegetables for dinner. Why choose organic? Organic food is better for your health and the environment plus organic farming benefits animal welfare. 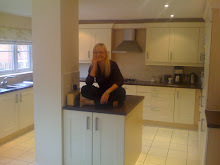 It also protects wildlife by supporting the natural ecosystem and avoiding controversial chemicals. Organic food is also entirely GM free. Some people say that buying organic food is expensive, but it doesn’t have to be. By choosing to eat less meat, but buying organic when you do, you can benefit your health and the environment. Eating seasonally always costs less, and many organic fruit and vegetable boxes offer good value for money. Buying locally from organic producers at farmer’s markets also benefits your own local economy. There are more great tips on how to shop organically on a budget on the Soil Association website - click here to go straight to them. 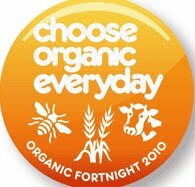 Even if you don’t live in the UK, you can still celebrate organic fortnight in your corner of the world. It’s a great learning opportunity and chance to introduce more organic and ‘real’ foods into your lifestyle. The Soil Association’s website is a great resource and there are dozens of other helpful sites that might be more local to you available on the internet as well. Do join in to this great initiative to benefit your health and the environment and get a little more organic into your life by remembering to ‘choose organic every day’!